In the summer of 2017, the Oregon coast will have a brand new spa – and lodging. Pacific City will soon break ground on the Kiwanda Lodge & Spa at Pacific City. The Kiwanda Lodge concept responds to a gap in the market for a luxury oceanfront experience that presents outdoor recreational opportunities for the next generation traveler. The resort comes from the minds of Jeff Schons and Mary Jones, who helm the Nestucca Ridge company, which owns and operates the Inn at Cape Kiwanda, Cottages at Cape Kiwanda, Shorepine Vacation Rentals and the award-winning Pelican Brewing Company. Off the beaten path on a relatively undiscovered stretch of the majestic Oregon coast, Kiwanda Lodge & Spa will feature 33 luxury oceanfront suites, a premier fitness spa, and a unique restaurant featuring contemporary Northwest cuisine, wine, beer and spirits. 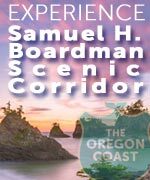 Nan Devlin, director for the tourism group Visit Tillamook Coast, said the new property will fill a void in the hospitality options of this part of the north Oregon coast. She said the agency frequently gets requests for spa facilities that are all-encompassing like this. Now for those seeking luxury spa treatments, a fitness regimen, or scintillating workout, there is one on the oceanfront. Nearby, in Tillamook, the Tillamook County Creamery Association (TCCA) has announced that it will undertake a significant project over the next two years that will completely redesign and rebuild the Visitors Center at the Tillamook Cheese Factory – a hugely popular Oregon coast attraction. The TCCA said the new facility will offer a significantly enhanced experience for visitors. The project will require the current Visitors Center portion of the Tillamook Cheese Factory to be torn down and replaced 38,500 square-foot facility. The number of visitors who make the trek to the Tillamook Cheese Factory has grown significantly over the years, and currently more than 1.3 million people visit each year; as many as 10,000 per day. The new Visitors Center will be a larger space that will enable TCCA to better accommodate this growing number of guests and welcome even more visitors, providing the most comfortable, enjoyable experience possible. Among the new features will be a larger cafe, new menu, enhanced ice cream counter and coffee counter, a larger retail area and a better viewing experience of those who have come to watch the cheese-making process. There will even be a small theater and a small event room that will be rented out.